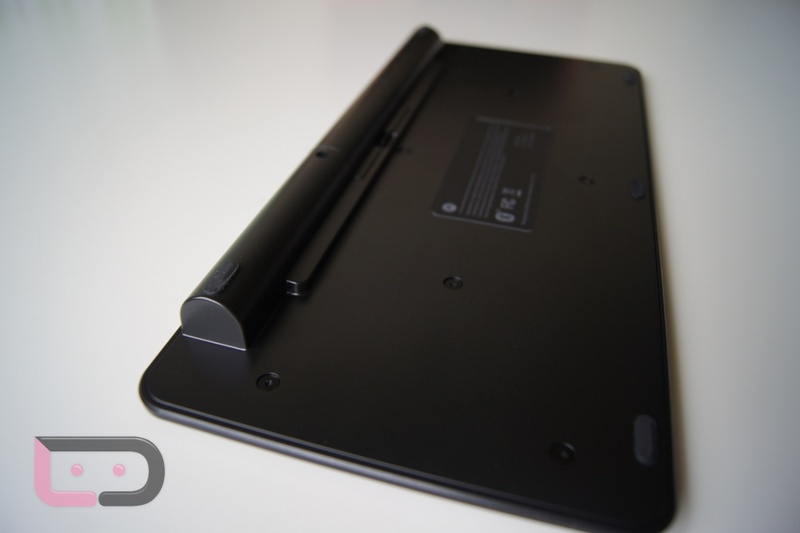 So I’ve picked up a handful of Motorola XOOM accessories over the last week and figured it was time to start reviewing them one by one to help early adopters decide if any of them are worth your hard earned money. 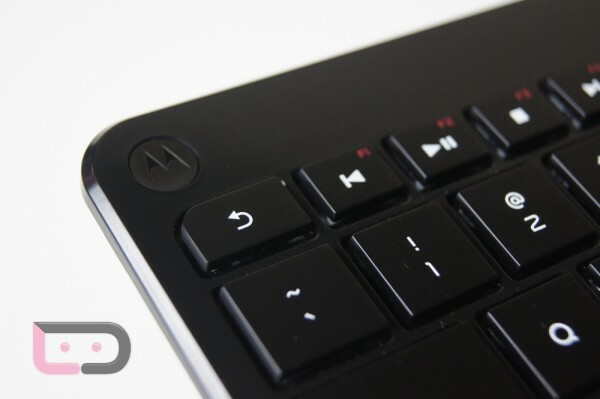 The full review of the actual device is still on the way, but to lead up to it, we’re going to work through most of these accessories, starting with the Bluetooth keyboard. The device itself weighs very little, has a slight hump on the back to give it a semi-ergonomic feel and runs on 2 AA batteries. In the week that I’ve been running it, I haven’t had to replace them, so I’d say that the life seems to be acceptable under fairly-heavy use. There are rubber grippies on the bottom to stop any slippage and it even sits on your lap nicely while couch surfing. My favorite feature of the keyboard has to be the built-on Android keys. You have dedicated buttons that will get you quickly into your contacts, Gmail, browser or back home, plus you also have a series of built-on music controls. You’ll get a good chuckle out of the Messaging button though, especially since we know they’ve removed it from the XOOM. Connecting the keyboard is about as simple as it gets. 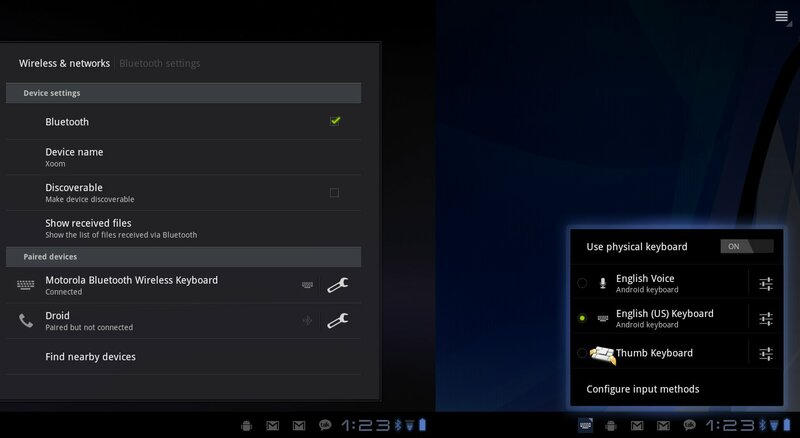 Pop in the batteries, turn Bluetooth on through the XOOM, “Find nearby devices”, press the 1 button on the back of the keyboard, and then connect it on the XOOM once it appears in the list. If you are at a place in Honeycomb where you don’t feel like you’ll need the physical keyboard, then press the little keyboard icon in the notification tray, and turn it off. If you need it, repeat, and turn it back on. Keyboard switching is one of the best features in Android 3.0. Overall, this seems like a “must-have” for anyone that plans on doing a ton of typing on their XOOM. As someone that crushes hundreds of emails a day, it has been a life saver. There is no way in hell I could have been this productive while using the on-screen keyboard. For now, I’ll call it my current favorite of all the XOOM accessories, but that title is likely going to change when Swiftkey releases their tablet keyboard that allows for thumb-typing. The price is also a little steep at $69.99. If you’ve got cash to blow, then I’d say grab one; if not, sign up for Swiftkey’s beta program and hope they release it soon.